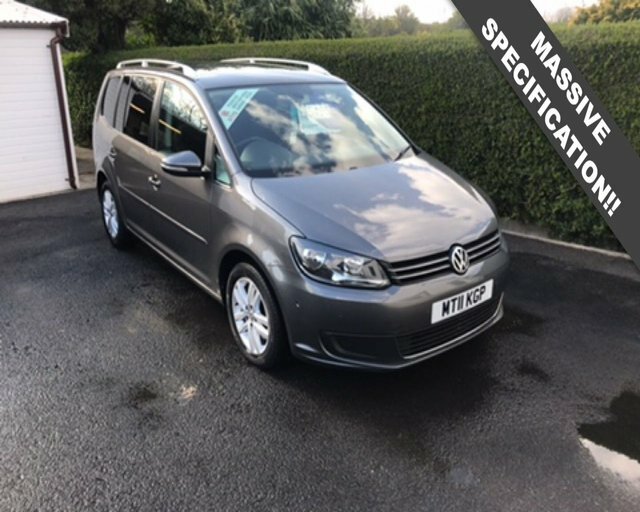 Buyers who are focussed on finding a quality MPV that'll meet their family's needs without breaking sweat should certainly pay close attention to the range of used Volkswagen Touran models for sale in Lancaster right now. This highly practical and well-equipped vehicle is perfect for coping with the rigours of family life. Come to John Taylor Cars and you're sure to find quality used cars at affordable prices. Simply get in touch with a member of our friendly and knowledgeable showroom team and they'll do everything possible to help you find the right vehicle to suit your needs. Finance is available to UK residents aged 18 years or older, subject to status. Terms & Conditions apply. Indemnities may be required. Other finance offers may be available but cannot be used in conjunction with this offer. We work with a number of carefully selected credit providers who may be able to offer you finance for your purchase, commission may be received. We are only able to offer finance products from these providers. Postal Address: John Taylor Cars, 36A, Main Road, Galgate, Lancaster, Lancashire LA2 0JH. Find contact details here. John Taylor Cars is authorised and regulated by the Financial Conduct Authority, FRN: 652119. All finance is subject to status and income. Written Quotation on request. We act as a credit broker not a lender. We work with a number of carefully selected credit providers who may be able to offer you finance for your purchase. We are only able to offer finance products from these providers.